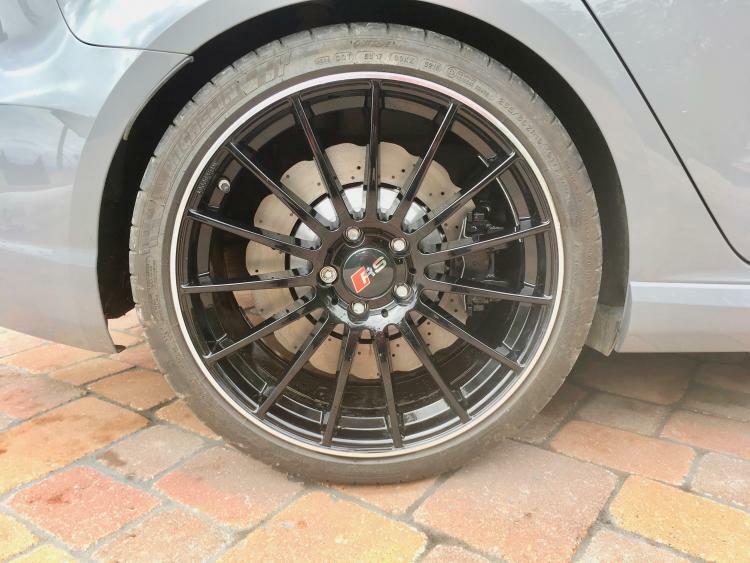 So with my ongoing brake upgrade, I’m presently at Revo/Alcon 380 Front discs, Ferodo DS Performance pads (Thanks to the contact mentioned on here) and I’m now contemplated rear brake options. Reyland have been really helpful (again thanks for the details chaps), But I’m thinking I might as well go for the 356mm brake disc upgrade. The quality looks good in the pics, and limited reviews seem to be good. Obviously there are other more expensive options out there, but I think this coupled with Custom Reyland bolted discs would be perfect, visually, and I should want for nothing brake wise, on the road. Ive searched here and the other forum but cant seem to find anything. Would that set up not be over braked on the rear? You have 10mm extra front dia.but 46mm extra rear. I’m pretty sure someone on here had a rubbish experience with VBT. I think it was @coxeterj if memory serves. OliWould that set up not be over braked on the rear? You have 10mm extra front dia.but 46mm extra rear. There's no need for bigger brakes on the rear as they don't work that hard from what I've experience on a track day. The fronts take all the punishment inc the weight transfer under braking mate. That’s not good, I shall Be quizzing vagbremtechnic in full about this. 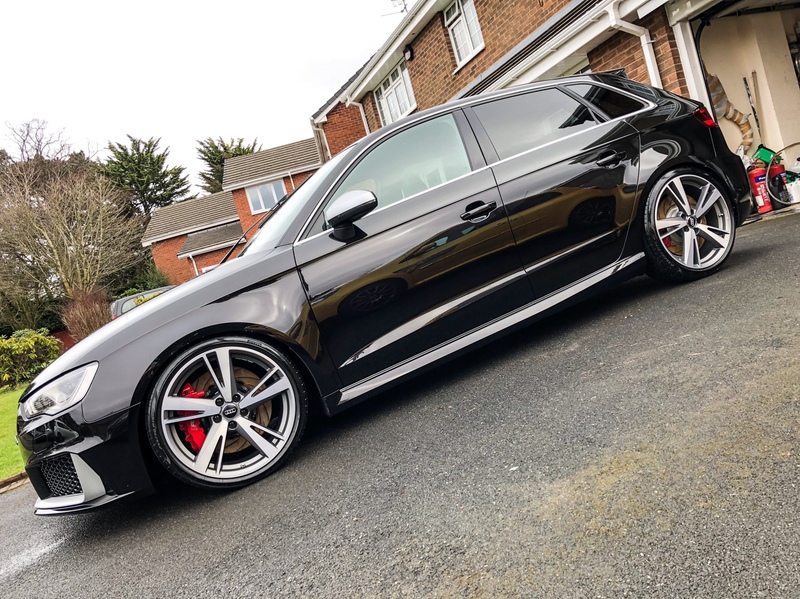 From my old golf 7R days, I still nose around on the forums, a lot of them do this upgrade, and with 360 fronts ( I think) and they say it balances it nicely. Why not ask Reyland to make you a set ? If I remember rightly VBT weren’t very quick at sorting @coxeterj issues out and to be honest I don’t believe it was fully resolved in the end. Vagbremtechnic discs and Ferodo DS2500 fitted! Edited by T-800, 27 August 2018 - 07:50 PM. that are different top and bottom. Edited by 0120raptor, 27 August 2018 - 08:04 PM. Thanks for that. That’s enough reason not to use their brackets! This is the front brakes though that has issues isn’t it, but either way not good. Ilve already emailed Martin at Reyland, will ask him about the rear carrier brackets too. I would have grave concerns if a passive bracket cracked/broke - have any reasons been given? There are a few others making these brackets. I have one that I bought through Tom Wrigley (not sure who made it though) and it is fine. Edited by RS3Dell, 27 August 2018 - 10:56 PM. Thanks both. I’m agreed on the aesthetics side of things, as mentioned before. I’ve dropped Tom wrigley and email to see if he will sel the bracket by itself and also Reyland. Dell I’m already running MSS Springs over standard. Hal, what full setup do you have? any pics? Hope your sitting down when you open the email/speak to Tom Wrigley as the 355mm rear kit will set you back £1100 ! Also wether Tom will sell the brackets on there own ? The 355mm disc do have a different off set so Reyland will need those measurements to make the discs to match. Edited by RS3Dell, 28 August 2018 - 05:53 AM. Oli - yes, attached. Other than the larger rear discs, the set up is standard. As I say, the extra braking on the rear will be negligible, but I just could never get to grips with looking at the tiny rear discs in comparison to the front. I am sure no one really gives them a second glance, but there you are! I’m running the Vagbremtechnic front and rear kit with Ferraro DS2500 pads. All from Awesome GTI. Not sure of the size of the discs but they are the largest that will fit. 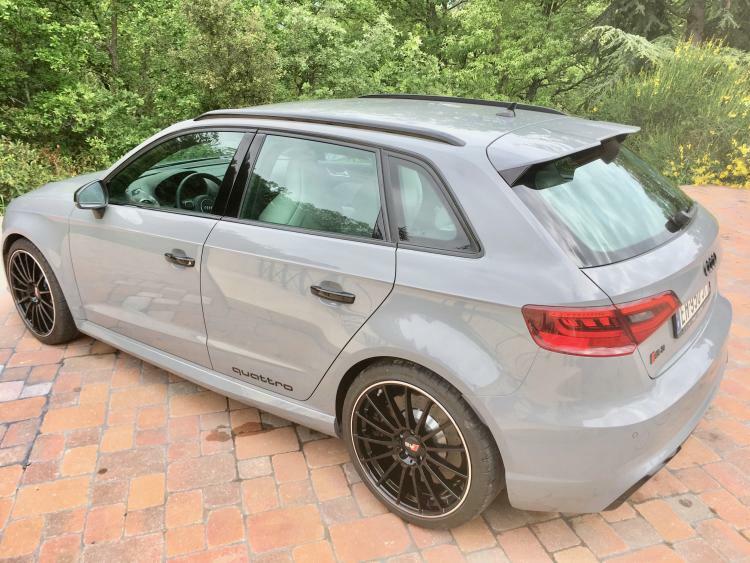 The larger rear discs gives stability when stopping at high speed (I’m talking about triple figures). The rear doesn’t go light as much as the standard setup. It also looks much better cosmetically. Incidentally the clearance between the rear calliper and the standard oem PFL wheels was very tight but they never rubbed. On the oem FL wheel (near side rear) the calliper has caught the inside of the wheel a few times as there’s scoring marks in there. Edited by Irfy, 28 August 2018 - 11:03 AM.